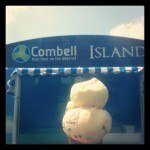 Just as last year, Combell’s ice cream truck has been touring all over the country. From 15 May to 15 July, we visited almost 300 companies and offered 1,500 litres of ice cream, the equivalent of 7,000 ice cream cones. 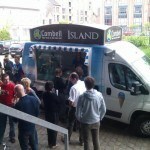 Interested companies had the possibility to request a visit from our ice cream truck on www.combell-island.com. Besides the various companies, among which many web agencies, we also drove to several events: Microsoft Community Day, FeWeb’s Summer Event and the Social Media Day. Did you also get a visit from our ice cream cart and haven't you seen your holiday snapshot yet? 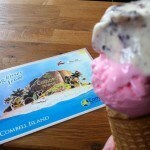 Check out www.combell-island.com or find your picture our facebook page.